AUSTRALIAN fast bowler Nathan Coulter-Nile has set his sights on a Test debut after his outstanding return to the national ODI team. The West Australian paceman was one of the positives to come out of the Aussies' loss in the first of five matches against India in Chennai, delivering an opening spell of 3-12. It had been almost 450 days since Coulter-Nile had claimed an international wicket, the injury-prone 29-year-old breaking down with a stress fracture in his back in June 2016. "There were definitely periods when I wondered if I was going to play for Australia again," Coulter-Nile said. "I was always confident of getting back to playing cricket but it's yet to be seen whether I can get through an Aussie tour." Coulter-Nile has endured a succession of injury setbacks in the past three years, including a dislocated right shoulder that denied him his first baggy green cap in December 2015 when he was to make his debut in the Boxing Day Test. "I thought long and hard about (giving up first-class cricket) and I ended up trying to give it another crack," Coulter-Nile said. "After talking to 'JL' (state coach Justin Langer) and a few blokes, I think it'd just be mad to give up the dream at 29. "I still think I've got a lot of cricket left in me so hopefully I can still get there. Test cricket is still the dream. I think it's the dream of every kid playing in Australia. "It's not about earning money in the IPL, it's about playing Test cricket and representing your country on the big stage." 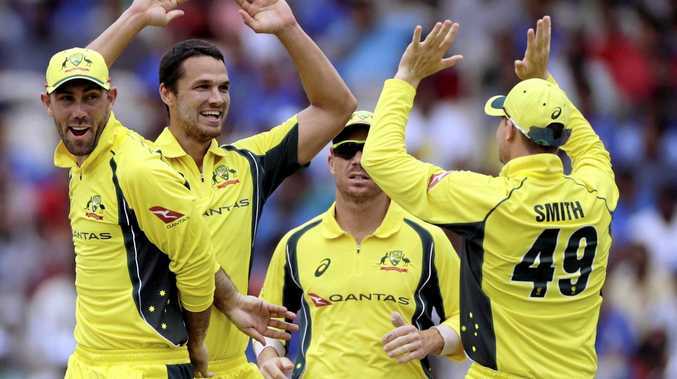 The Aussies take on India in the second ODI on Thursday night.